I think the covers are quite nice, which never hurts my interest, but I was pleasantly surprised by the story and writing style of the author as well. I’m a pretty big fan of dystopia, and I thought this story presented a very interesting take on a dystopian society. I happen to love a little romance with my adventure, too, so I was very drawn in by the main theme of this dystopian society focusing around ‘love’, and love being a disease that everyone needs to be cured from, and the main character being a rebel and going for that whole forbidden love thing, etc. Just a very interesting mix of genres, to me. As an author, I found I really appreciated the story because I myself identify with the author’s writing style. I see a lot of myself in her – the lyrical prose, the love of commas and adjectives and metaphors… Some people get really overwhelmed by this type of thing, and feel that it gets too ‘prosy’. But what I love about this author is her deft ability to balance prose with simplicity. While my own prose has been heavily praised by some, I’ve also received feedback to the tune of ‘sometimes a sigh is just a sigh, and that’s all it needs to be’. I love the way Lauren Oliver seems to be able to get carried away with the right sentences, but leave some alone. She knows when a sigh needs to just be a sigh, and when it needs to be a gusty, windswept current forged in the soul-deep recesses of despair. There were a couple things I didn’t love love about the first book, and to be honest it took me awhile to purchase the other two books in the trilogy, although I always planned on it. But especially now that I’ve gotten into the second book and really recognized the reason her writing speaks to me, I’m falling in love with these books outright. I can’t wait to see what happens throughout this second installment, and then in the final book of the trilogy! Categories: Books, Reading | Tags: book, books, delirium, lauren oliver, review, write, writer, writing | Permalink. I’m making steady progress on Starless, and thought I’d drop a little excerpt today for anyone who’s interested! Biric swam out of her dreams sometime in the middle of the night, the lancing pain of her injuries dragging her back to consciousness. A silhouette shifted near her pallet as she woke. “Darra?” she whispered. 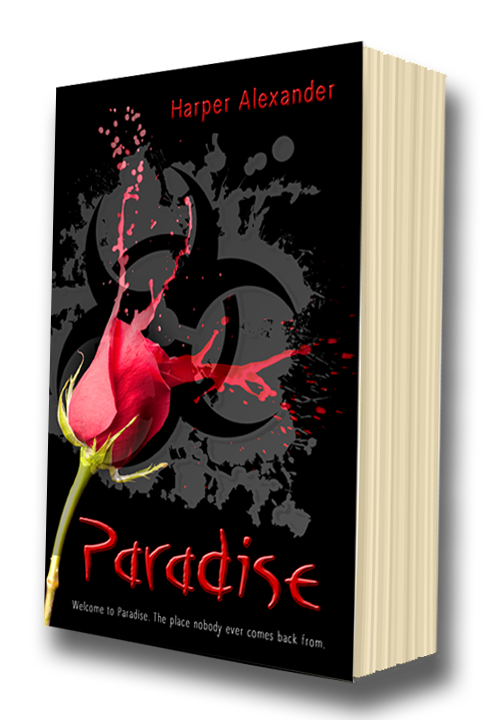 She had hoped not to wake the other girl with her agonized listlessness, but Darra was often sensitive to the sound of her awakening in pain. She would be right there, ready to give up sleep to hold Biric’s hand. The silhouette crouched over her. Fingers curled over her cheek and mouth. The musky smell of grease and woodsmoke filled her nose. Biric grasped at consciousness, craning her neck to get a look at the figure’s face. Alarm trickled into her like a candle trying to light in the wind, but it was so hard to make anything matter over the pain. It was hard to see in the dark, but a distinctly male pair of eyes peered down at her. The figure crouched close, keeping his voice low. Categories: Books, Excerpts, My Books, Reading, Writing | Tags: author, book, books, excerpt, write, writer, writing | Permalink. Now that Deep Breather is complete, I will be working on (yes, the fourth book in the Breathtaker series, but also…) an exciting new darling called Starless! I plan to finish up the next Ace book as well, but it’s been taking more brainstorming than anticipated, so we’ll see how that develops over the next couple months. As for Starless, it takes place in a really neat Dystopian setting like you’ve never seen before, and it centers around some pretty high-concept ideas having to do with destiny and free will and the apocalypse being written in the stars. And a main character who, maybe, happens to not have a destiny. That whole ‘Chosen One’ theme is so overdone, I feel, that I wanted to go for more of a ‘wild card’ approach, while achieving the same, epic, ‘you’re the one who can change everything’ concept. So there you have it – what’s brewing on the agenda! I feel like a lot of what I’ve written in the past has really been about practice and finding my voice as a writer, and I’m finally taking the leap to the real deal. Who’s to say if it will be a masterpiece, exactly, but that is more the goal this time around. Categories: Books, Writing | Tags: book, books, write, writer, writing | Permalink. It’s March 28th – Deep Breather is Live! The deadline is here, and so is the product! 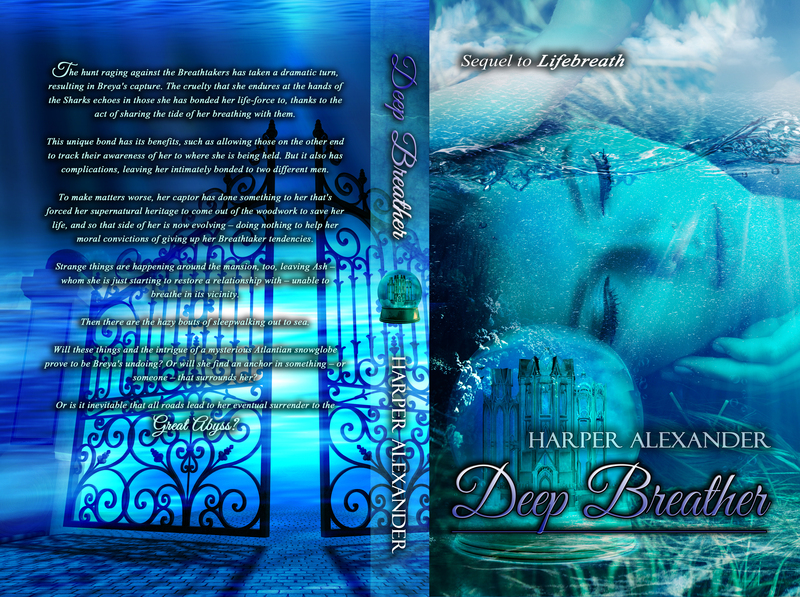 Click on the cover to be taken to Deep Breather‘s sales page on Amazon! Categories: Books, My Books, Reading, Writing | Tags: author, book, book release, books, breathtaker, write, writer, writing | Permalink. And we’ve got another beauty, ladies and gents. I mean, if I do say so myself. I never feel like it’s bragging when I go on about how pretty these covers are, because the elements I’m working with just naturally create AMAZING results. The blue, the water, the mystical Atlantis-like lore… It just can’t help but equal gorgeously awesome. Really, it’s like there’s real Atlantian magic weaving itself into these covers. Whenever I get one finished up, I look at it and think ‘why isn’t every book I ever write about Atlantis?’. It’s such a great subject to work with. Anyway! The point of this post is that I’ve gotten the wrap cover for Deep Breather wrapped up (pun intended), and it’s all ready for it’s release in both ebook and paperback now. So, on to the actual release of the thing! Categories: Book Imagery, Books, Graphic Design, My Books, Writing | Tags: art, artist, author, book, book release, books, cover, covers, write, writer, writing | Permalink. Well, I’ve finished the first round of edits on Deep Breather, leaving it almost ready for its release the day after tomorrow. I plan to go over it again tomorrow, just for final tweaks, and then get it all formatted so I can upload it for publication tomorrow night! If all goes well, it will then be available for purchase on the 28th, which happens to be the deadline I ruthlessly set for myself. If you can call it ruthless to put my foot down and give myself a month after letting tentative release dates in January and February pass by. I’m pleased with how the story manifested in this third installment of the saga, and I’m now looking forward to starting the fourth and final book, and actually wrapping up a series! If you aren’t up to speed, check out Breathtaker, the first book in the series – available here! Categories: Books, My Books, Reading, Writing | Tags: book, book release, books, write, writer, writing | Permalink.